It may have seemed strange, at the tail end of our budget crisis, to have a big party. (What budget crisis, you say? Short story below.) But, we did, this past Friday (well, November 13th, 2015), and it was incredible. Lately, the staff here at the TRC has been feeling a little overworked and under appreciated; it's hard to know that your funding (and job) is in jeopardy, and not take that personally. Speaking for myself, I love the work I do. I love the clients I get to talk to, I love going around the state to teach seminars, and I love writing this here blog. I love being a member of one of the most diverse small staffs I've ever been privileged to be a part of, of being rewarded for being curious about confusing legal issues, and feeling like I'm contributing to a city that I'm so happy to be a part of. And you know what? When people came to celebrate with us, and made this fundraiser one of the most successful we've ever had, it lifted us up. It told us that people do want us here, and that we do matter to this community. We are so lucky to get the chance to do this work. And we are so thankful for all of you who make it so that we can. THANK YOU. Photos of the shenanigans below. This is Anders, thanking everyone, in front of a line of staff and volunteers. The TRC's been around for 35 years now, and Brenda's been our Executive Director for an astonishing 20 years! Brenda, with a former TRC Executive Director, John Quinlan. Our Dane County Funding went up for bidding, the first time in 17 years. The proposal combined our services with those that another agency does, and didn't evaluate work that we do (that clients really need us to do). So, the funding was awarded to another agency, a good one, but one that doesn't do what we do. So, we asked Joe Parisi to change it - the evaluation process was flawed (even the evaluators said so). We asked him a bunch of times. But he didn't. Then we asked the Dane County Board of Supervisors fund services for people outside of the City of Madison, especially tenant/landlord rental rights and responsibilities counseling from their discretionary funds. But the Health and Human Needs Committee didn't take up the issue. 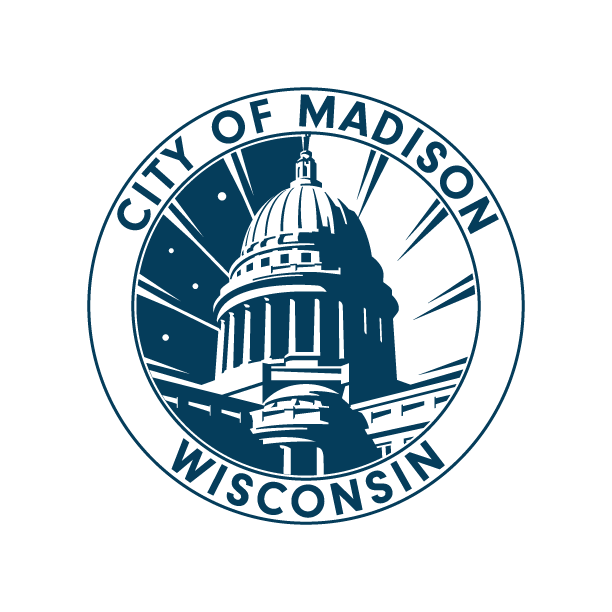 We thought, well maybe the City of Madison will help us. We asked the City Council to fund us for a part of what we lost, from their unallocated budget funds. But the City Council voted it down 9 - 11. Finally, we tried to get a part of that $90,000 from the Dane County Board of Supervisors, as a part of the super-amendment that they add to finalize the budget, but the Dane County Board of Supervisors didn't include us in that super-amendment. And no County Board Supervisor made an amendment to include us in the budget at their final meeting on November 16th. So what now? We're working on our backup plan. It will take us a little bit, but we'll let you know.